As a founding partner, Navid Natanian is passionate about helping his injured clients recover losses and receive the maximum compensation available. Under the leadership of Mr. Natanian, our California personal injury law firm has obtained Millions in verdicts and settlements for its deserving clients. While Mr. Natanian is certainly proud of the results his law firm has earned over the years, he continues to work tirelessly on behalf of his clients every day. His stellar reputation in the community over the years is in part due to the strong stance he takes with insurance companies and big businesses. As a result of these efforts, Natanian & Yaghoubi stands out as one of California’s finest personal injury law firms. In addition to offering high-quality, yet cost-sensitive legal services, Mr. Natanian and his associates and staff work hard to help injured clients find the expert medical attention they need and deserve. 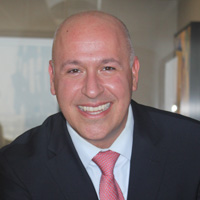 Edward Yaghoubi is an attorney who focuses his practice on personal injury law; namely truck, motorcycle, auto and motor vehicle accidents, slip-and-fall accidents, assault and battery, dog bites, and general injury insurance litigation. Every day, Edward is empowered by the idea that he is helping average people who have been afflicted with devastating and debilitating injuries and family members of loved ones lost in tragedy accidents. He strives to exceed expectations by focusing on each client’s background, their special needs and goals, both short and long term, never straying from the idea that clients’ needs are the single most integral part of any resolution. He devotes his career to fighting tortfeasors and negligent defendants, who refuse to take responsibility for their actions or lack thereof. In his research and fact gathering Mr. Yaghoubi leaves no stone unturned, thereby investigating every fact and all remedies possibly available to compensate injured clients. 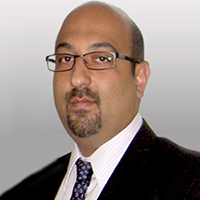 Since 2005, Mr. Yaghoubi successfully negotiated several six figure pre and post litigation settlements. Mr. Yaghoubi received his Juris Doctorate degree from the Whittier School of Law and his Bachelor of Arts degree in Political Science from California State University Northridge (Dean’s List). He is a certified member of the California Bar, and members of the California Bar Association and the Consumer Attorneys Association of Los Angeles.